It's my turn to host Mr Linky this week, so please add your link below. In the meantime, here is my haul this week. I was surprised that so many new (as in never been read by anyone) came in all at once this week. Now I just need to actually get around to reading these before it is time to take them back. Written in Red: a novel of the others by Anne Bishop - Many years ago now, some people who sadly no longer blog convinced me to try Anne Bishop's Black Jewels series. I was surprised by just how much I enjoyed them as I wouldn't have necessarily picked them as being my kind of read. Over the last couple of years though I have fallen off the Anne Bishop bandwagon, to the point that I didn't actually know that she had a new series coming out. This is the first book in that series. 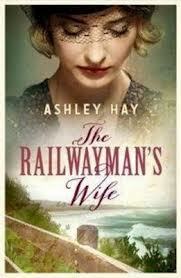 The Railwayman's Wife by Ashley Hay - As soon as I started hearing about this book I knew I wanted to read it. I've seen mixed reviews but hopefully I will like it. 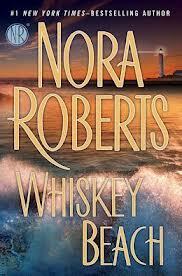 Whiskey Beach by Nora Roberts - The latest standalone novel by Nora Roberts. I haven't loved her latest trilogies as much as usual but hopefully I will like this standalone story. 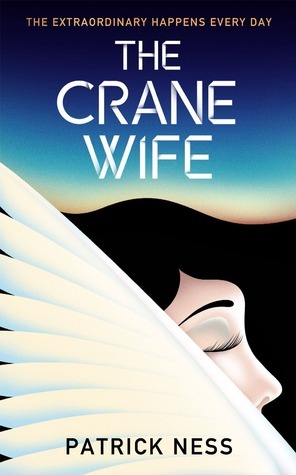 The Crane Wife by Patrick Ness - New Patrick Ness. I don't think I need to say much more than this. Burial Rites by Hannah Kent - This is new historical fiction from an Australian author writing about Icelandic history - not something that you usually read! 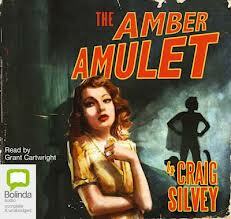 The Amber Amulet by Craig Silvey - I actually already had the book of this out from the library. I had a different audiobook on request but it had been stuck in transit for 10 days or so. When I was at the library the other night trying to find out where that book was I saw this on the shelf and thought that I would grab it. The book is only short so that audio is only just over an hour in length, so it tided me over until the other audio came in! Burial Rites is really good! Hope you like it. Our local Indie Bookshop here liked Burial Rites so much they have named it as their favourite book so far this year and if people buy it they get a free coffee in the lovely cafe. I really must get my hands on it. Looks like an interesting collection you have this week. 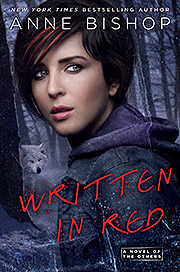 I love the cover of Written In Red.. Burial Rites sounds good. I'll have to pick it up. I don't think I've heard of any of these books before but The Burial Rites one sounds very interesting! Enjoy your library loot. I've been waiting to read Burial Rites. It's not out in the US until September, but the Australian edition has a much better cover! The Crane Wife! I am quite surprised that you managed to get it from the library so quickly! The Burial Rites looks interesting. It's a good pile of loot.